In our daily life, we come across so many people who are visually impaired or disabled somehow. Such people find it really difficult to take advantage of the new technologies because they cannot comfortably interact with them. For such kind of people, Windows narrator was introduced in Windows 10. 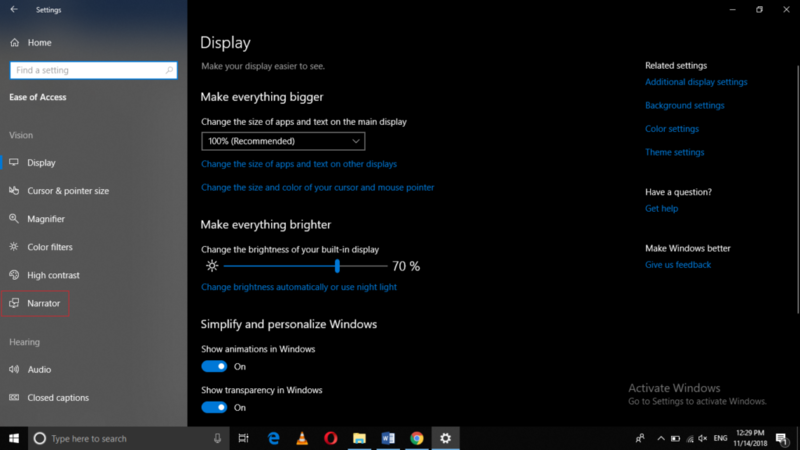 It is a utility, which reads aloud every action that you take while using Windows 10. It also helps the visually impaired people to understand what is written in any sort of text document by reading it for them. 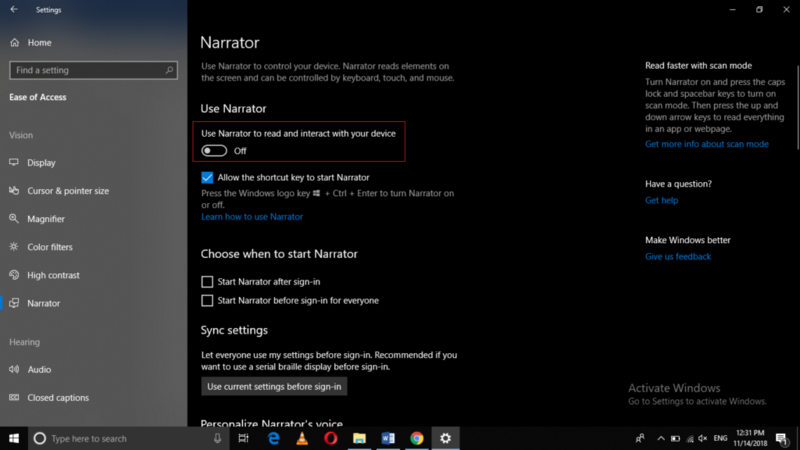 In this article, we will explain to you the method through which you can use the Windows narrator in Windows 10. Now click on the Narrator tab. In the Narrator Settings window, you can configure multiple settings according to your own choice. We will look at all these settings one by one. 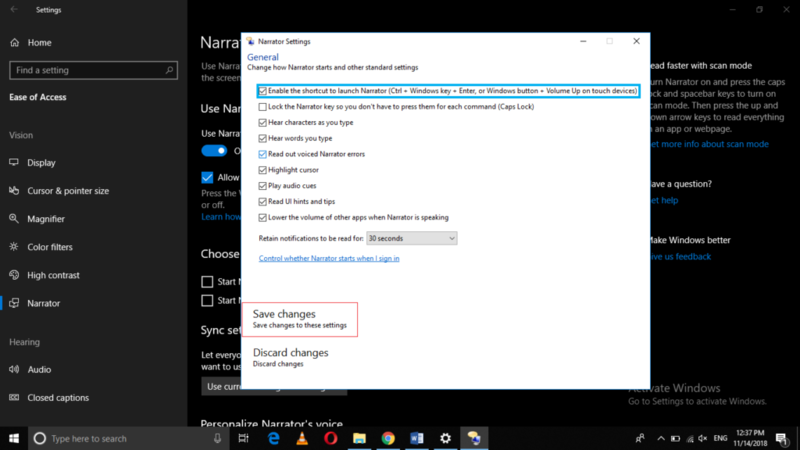 Here you can set up the basic settings for your Windows narrator such as launching shortcut, reading the hints and tips that appear on your screen etc. 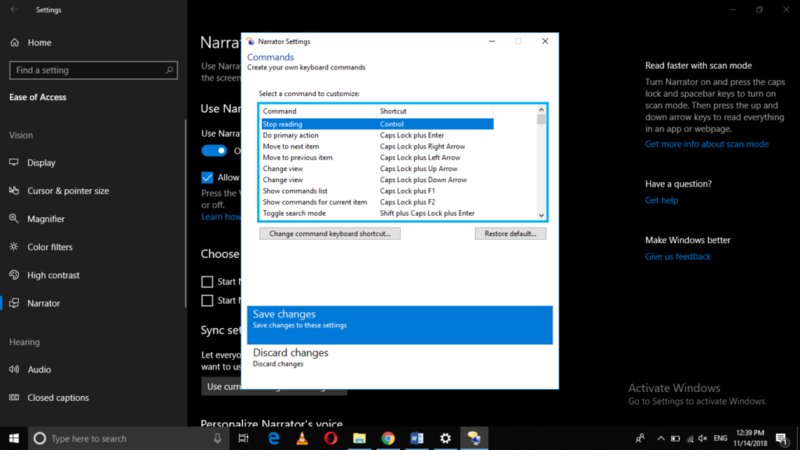 You can enable all the features that you want to have in your Windows narrator simply by checking the checkboxes against them. 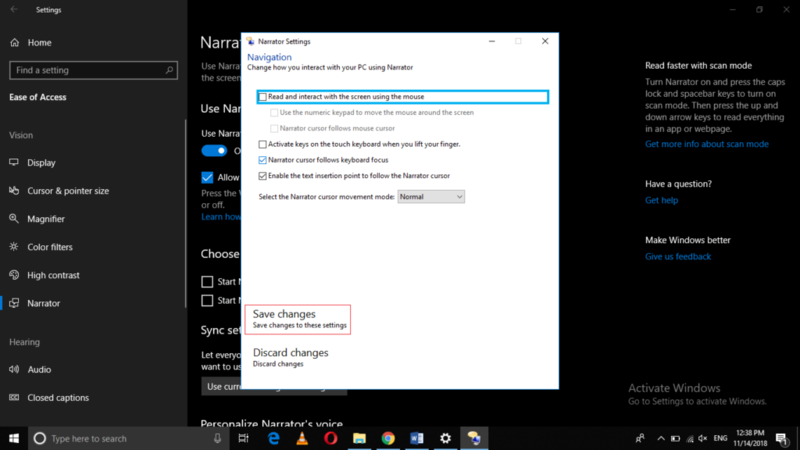 Once you have made all the desired changes in the General Settings, you need to save them by clicking on the Save Changes button as highlighted in the image shown above. Here you can synchronize your Windows narrator cursor with the movement of your mouse and keyboard. Check all the checkboxes against the features that you want to enable and then click on the Save Changes button. Here you can adjust the voice-related settings of your Windows narrator such as volume, pitch, speed etc. After customizing these settings, just click on the Save Changes button as highlighted in the image shown above. Here you will see a list of all the default Windows narrator commands along with their shortcuts but you can customize them according to your own choice simply by clicking on the command whose shortcut you want to change and then typing an appropriate shortcut for it. Once you have customized these commands, click on the Save Changes button in order to save these settings. The other three tabs i.e. User Guide, Minimize and Exit, in the Narrator Settings window are quite self-explanatory. 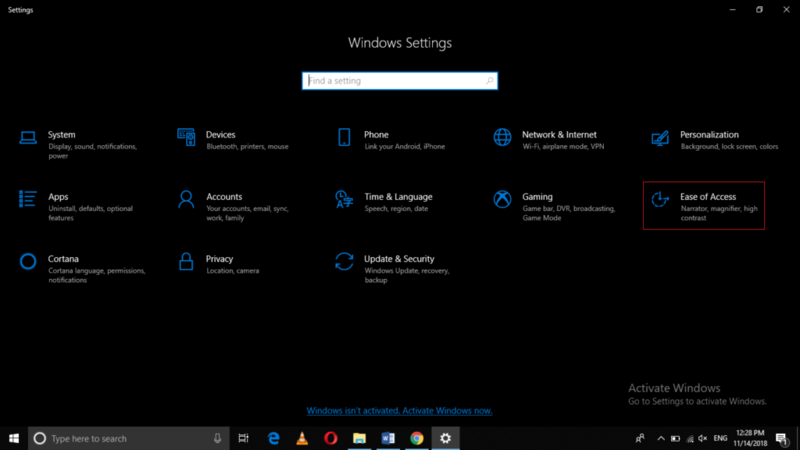 As soon as you manage to configure all the necessary settings, you are all set to use the Windows Narrator. Whenever you want the Windows narrator to start working, you can simply press Caps Lock + M and the narrator will start reading. 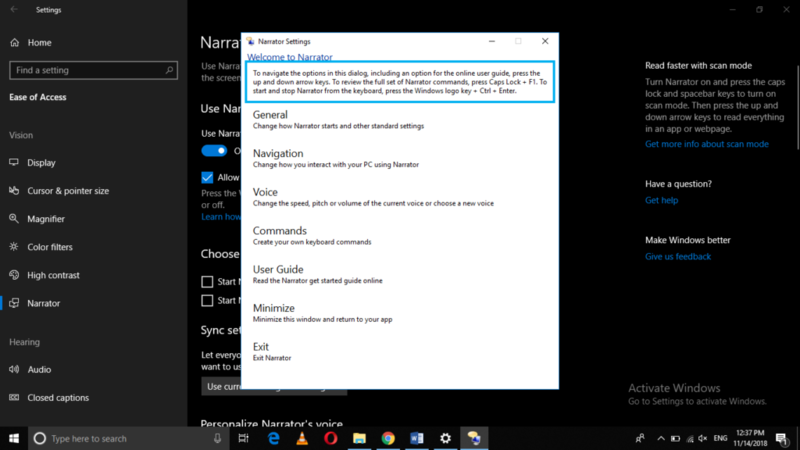 By following the method discussed in this article, you can easily use the Windows narrator in Windows 10 and help the visually impaired people by enabling them to listen to whatever action they perform while using Windows 10.